Taiwan's Commercial Times is reporting that Apple will be entering trial production of another iPhone soon, and they call it the iPhone 5S, perhaps alluding to the iPhone 4S that came after the iPhone 4 with better hardware. The initial batch trials are said to be 50,000-100,000 units, claim the paper's sources, with production ramping up for shipments in the first quarter of next year. Now we doubt that Apple will introduce an upgraded version of the iPhone 5 so soon after its announcement, though it already broke its typical annual upgrade cycle with the iPad 4, releasing it just half a year after the new iPad launched. This was necessitated by the introduction of the new Lightning connector, though, and the improvements in tablet Retina display technology, whereas the iPhone 5 already comes with the latest and greatest in-touch LCD screen and the new connector, and only has problems keeping up with the demand for it. The source says Apple has been certifying different components and materials for the 5S, so that might be one more way to address yield rates. Alternatively, the 5S might be just an improved manufacturing method that addresses the scuffs and touchscreen issues, so there's no point speculating further until we have something more concrete. The Commercial Times source also says that Apple is said to release an upgraded version of the iPad mini a quarter after it starts shipping the improved iPhone 5S, which could mean next summer. Apple's consecutive incremental releases are not a good sign for them. Loyalty rate will go down again. How to make an "S" version of iPhone: Add slight and subtle new features + keep previous design + a bunch of bullcrap speech from Tim Cook = iPhone 5s! It's a sign that Apple is freaking out about the slew of devices that are coming out from Google and Microsoft. They're thinking that if they come out with these iDevices named above soon enough, they will not loose their market share. Now they are just playing catch which serve them right. If they stayed innovating instead of litigating, then maybe this wouldn't have happened. Yea im sure thats what it is. Apple is soo scared right now because of the competition... wait there is none. You forgot that apparently according to apple, fixing glaring hardware, design, and manufacturing flaws = new phone. Innovative! Man U should b working for apple. NOT!!! This is more like an improved iP5 (not an iP5S). Things like a harder (less scratch-prone) case and what-not. 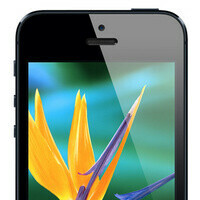 iP5S will ship 3Q2013. Expect a similar circumstance for the iPad mini. iPad mini2 with resolutionary display and A5X chipset will ship 4Q2013. its a sign that the compnay is shaken up after the not-so-successful release of the iPhone 5. Its a sign that Apple is on edge and definitely the ones who bought the iPhone 5 with all of its out-of-the-box defects are definitely gonna feel silly and duped! You have to respect Apple for their hardware...tbh I think their dual core is already good enough, especially for iOS. I have no idea what an iphone wants to run that will be that taxing. The issue is the design itself. While it's a beautiful design with only metal and glass it's been a complicated design for mass production. My first iPhone had a nick in the metal out the box and that is totally unacceptable. Even Foxconn came out and said that the phone is difficult to make and there is still a backorder of phones almost 2 months after release. What good is a beautiful design if you can't mass product it "without" nicks and scratches? Customers are just going to jump ship and go with Android or Windows phone. Apple is feeling the heat and I guess they now moves to 6 month upgrade cycle to combat great phones from Android. iPhone brand has lost the air of invincibility. I can't really call that an upgrade. a fix is the best to describe it. That isn't right. Not everyone cares about customizing and hacking. OMG! OMG! Finally they decided to add the 's' to the phone name. A much deserved upgrade. Doesn't feel right without it. Its just matter of time, everyone know Apples pattern about naming already, they might will add another 5GS version too, like iphone 3GS and all depends if 5S works littleeeeeee better then what i5 did. A new magical product indeed. I have a riddle. A piece of crap that really burns hole in your pocket.. Guess what? Ehhh.. it starts with an 'i' and has a fruit logo on it? If they are not changing the design then the phone needs a CPU and gpu overhaul along with a redesigned ios 7. A 13mp camera and a bigger battery.